Han Thi is the beautiful representative from Myanmar who is competing for the coveted crown of Miss World this year. This 21-year-old beauty is all set to prove herself in the finale and bring the crown home for her nation. It is her beauty and determination that made her one of Angelopedia’s Top 20 favourite delegates for the crown. A model by profession, Han Thi stands 172 tall in height. She is also a student, and already has an Associate Degree in Fine Art (Acting for Film). Han Thi is currently pursing International Business Management course at Stamford International University, in her second year. In the near future, she aspires to become a Business Woman and an Actress. This shows that Han Thi is not just beauty, but also brains! As if her beauty and academic wasn’t enough, Han Thi is also multilingual with the ability to speak fluently in Burmese and English languages. She also has a basic knowledge of the Mandarin language, which is sure to help her during the finale as it is being held in Sanya, China on the 8th of December 2017. 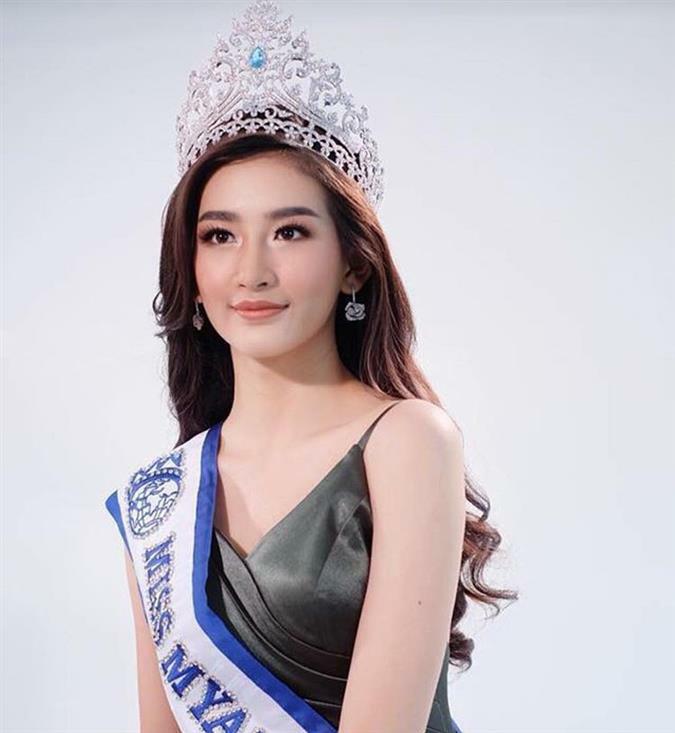 Han Thi was crowned the national winner on 14th July 2018 during the event’s conclusion. The finale was held at the Yay Kuu Amplified Broadcast Centre, Yangon. Han Thi was crowned by Miss Myanmar World 2017 Ei Kyawt Khaing. Ei Kyawt represented Myanmar in Miss World 2017, but was unable to secure a position during the finale. 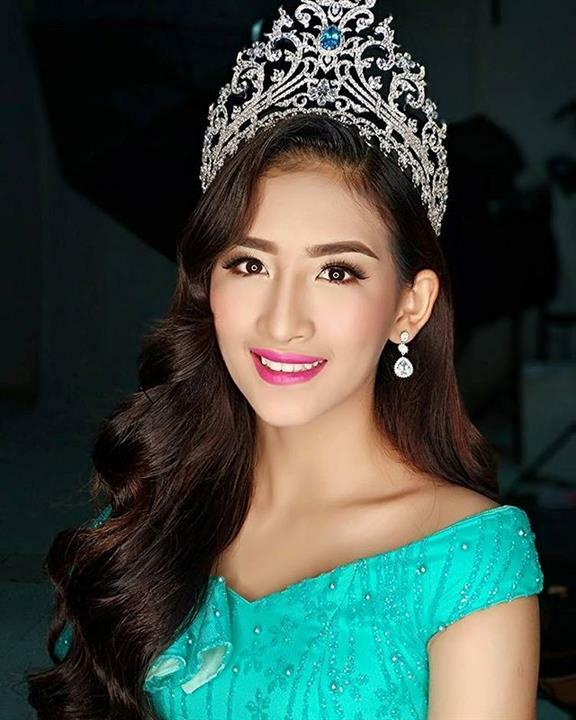 This beauty queen is no stranger to the pageant world as she was appointed Miss Supranational Myanmar 2014 and represented Myanmar at the Miss Supranational 2014 pageant. There she was placed in the Top 10 during the finale and also won the continental title for Asia and Oceania. Myanmar is yet to win the coveted crown of Miss World, and with Han Thi’s spectacular and strong foothold, this year might just be lucky for the nation. If Han Thi wins the crown, she will have changed the course of history and become the first woman ever from Myanmar to have won the crown. Angelopedia wishes her all the very best for her delegacy this year.